The touches of black lace against the beige background of this dress make it a girly and romantic look you can wear year round. 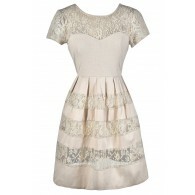 The Trimmed In Lace Beige and Black A-Line Dress is unlined, but made of a substantial cotton blend fabric. 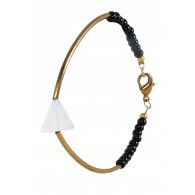 It has a rounded neckline, cap sleeves, and an A-line skirt. Black floral lace decorates the neckline, sleeves, and sides of the skirt adding contrast. An exposed back zipper completes this look. 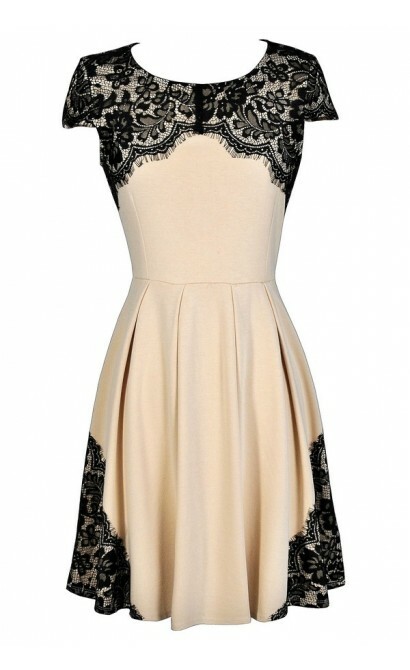 The Trimmed In Lace Beige and Black A-Line Dress would look nice in cooler months paired with black tights and pumps or heels. 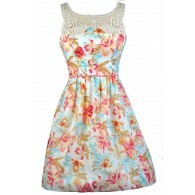 When it gets warm outside, wear this dress with black heels or wedges for a chic look. This dress is a great wardrobe staple to have on hand for its flattering cut and timeless style. Details: Unlined. Exposed back zipper. 70% cotton, 30% rayon. Contrast: 100% polyester. Hand wash cold water separately. Color will bleed. No bleach. Hang to dry. Small measurements: Length from top of shoulder to hemline: 35". Bust: 34". 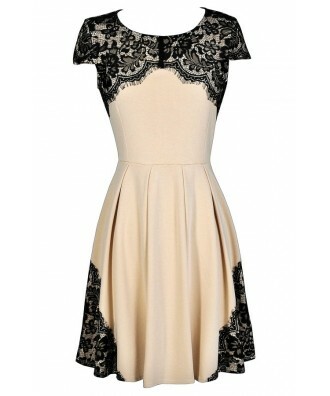 You have added Trimmed In Lace Beige and Black A-Line Dress into Wishlist. 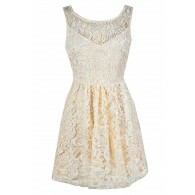 You have added Trimmed In Lace Beige and Black A-Line Dress for Stock Notification. 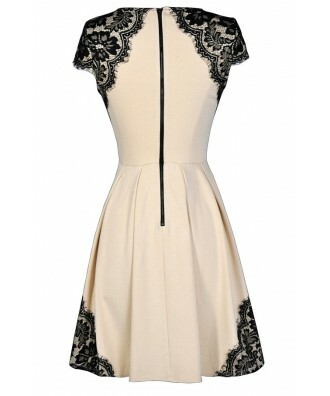 You have set Trimmed In Lace Beige and Black A-Line Dress as a loved product. 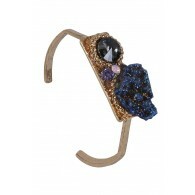 You have removed Trimmed In Lace Beige and Black A-Line Dress as a loved product.